David Le/Gloucester Daily Times. 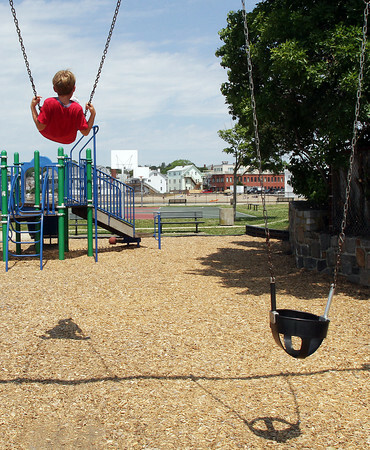 Dru Ouellette, 8, of Gloucester swings himself high in the air on the playground at Fort Point Park on Wednesday morning. 7/13/11.